USDA’s Child and Adult Care Food Program (CACFP) is central to the center’s success in supporting healthy, happy children and preparing them for bright futures ahead. Tysons Corner Children’s Center is one of about 160,000 child care facilities nationwide that serve meals to 4.2 million children each day through CACFP. When I arrived at the center that morning, I joined the kids for breakfast. 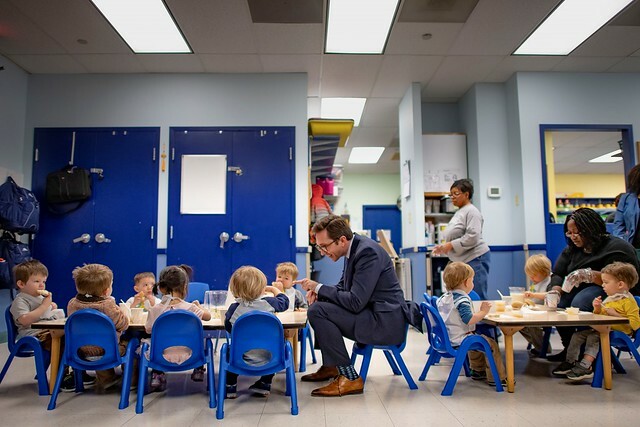 “We offer as many whole grains and fresh fruits as possible – every day,” said Tysons Corner Children’s Center Executive Director Drew Donehoo. “These foods give our kids the energy they need to have a successful day.” The center is committed to making a good diet part of a healthy lifestyle by serving meals that kids are excited to eat because, “no matter how good the food is for you, it doesn’t matter if the kids don’t eat it,” he said. Virginia’s Special Nutrition Supervisor Ashley Smith accompanied me during the visit, offering insight into the strategies for their award-winning food service. “The children’s excitement to eat their food is largely a credit to the center’s family style dining,” said Smith. 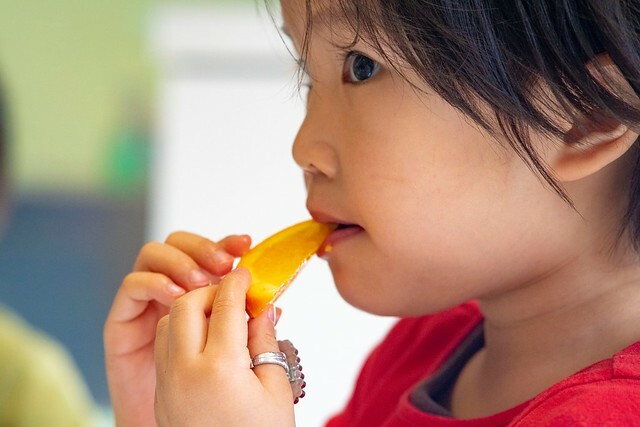 “A child who is nervous about trying kale and quinoa might be persuaded to eat it because other children are enjoying it.” Based on her experience reviewing CACFP programs, Smith noted that most centers serve kids a standard plate of food. However, family style meal service allows children to serve themselves, helping them build self-confidence and independence. Beyond observing the center’s stellar meal service, I enjoyed many moments of laughter. I asked a five-year old where the butter on his bagel came from, and he confidently replied “Ms. Palden,” the kitchen manager. Of course, I was thinking “a cow,” but his answer was even better! He surprised me again when he didn’t believe that I owned a cow, pig and horse as a kid. I probably should have told him I grew up on a Texas farm. The nutritious meals at the center are no doubt fueling a promising future for that wise young man. I also had the privilege of presenting the center with our Mid-Atlantic Regional Achievement Award. It was an honor to recognize their excellence in program integrity, nutritious meal service and wellness activities for their children. 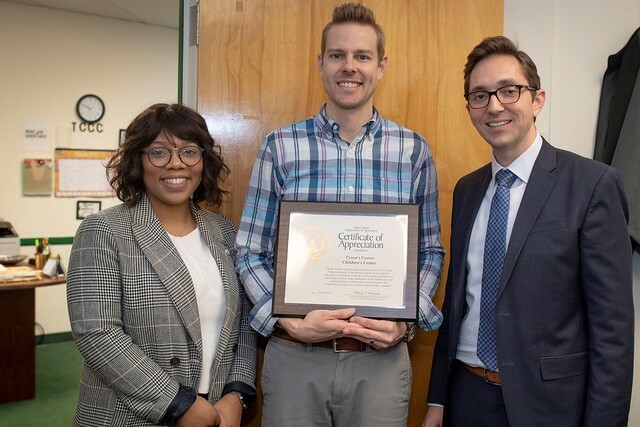 The day was part of USDA’s celebration of CACFP Week (March 17 – 23), which is sponsored annually by the National CACFP Sponsors Association. The education and information campaign raises awareness about the program’s role in combating childhood hunger while also introducing children to healthy, appetizing foods. USDA is committed to providing states and program operators with the resources and flexibility they need to operate CACFP effectively and efficiently. In doing so, our talented children can reach their full potential, supported by a foundation of good nutrition.